We begin this festive season on a beautiful note. Here is our ode to all the beautiful sisters; a Handmade Rakhi for your brother in our signature style made with natural jute, handmade paper and re-cycled metal. Only available at our exclusive stores at the Mumbai Airport and Delhi. 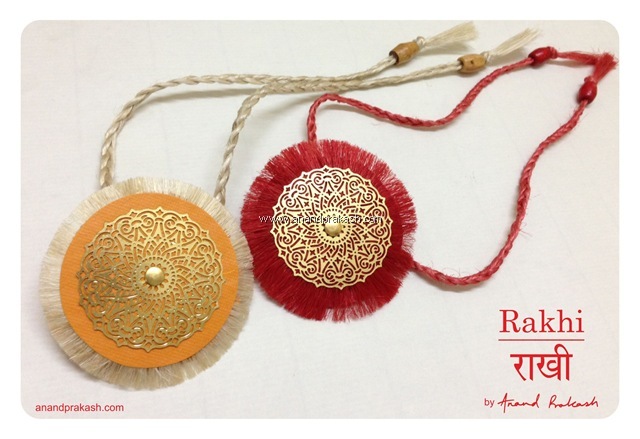 This entry was posted in Whats New and tagged Festival, Gifts, Rakhi, Raksha Bandhan. Bookmark the permalink. Can I buy these Rakhis online?